Home sellers are making bank in today’s market, realizing an average profit of 24.1 percent, or $39,900, in 2016, according to a recent study. While our local market here in Wichita, Ks isn’t doing too shabby either; however, duration is the key. The average seller turning a $39,900 profit, the analysis shows, held on to their home for seven years and five months. The average seller in Oakland hung on to their home for seven years and three months. “It’s extremely difficult to time the market, but if you’re a longtime homeowner in one of these cities, you could potentially see a great return on your investment,” Gudell says. It's Wednesday October 4th 2017 and I am here to deliver what's going on in, and around, the Wichita Metro - Real Estate Related. Most real estate news is generally a few months behind & I want to provide my fellow Wichitans with up to date real estate news. Well, it's official...the Seller's Market that Wichita has been experiencing over the last year has finally come to an end. Just 6 months ago properties on the market were getting multiple offers and selling within days of being listed. Fast forward to October...homes are still selling...just not as fast, or for as much. Seller's need to be more realistic on pricing their homes and keeping them in line with current comparable sales. However, it is October which typically tends to be a slower month for real estate. Inventory in Wichita is still low, but our Real Estate Team feels a correction in the market happening right now. It's still a good time to sell, but an even a BETTER TIME TO BUY! Inventory is increasing but there aren't as many buyer's (competition) as there was 6 months ago. Rates continue to be at an all time low, but more importantly there is 1st-Time Home Buyer Cash Assistance (from multiple local lenders) available right now, but only for a limited time. So when people ask me when is the best time to buy...it could very easily be RIGHT NOW! Improving Wichita's Real Estate Team has experienced Buyer's Agents eagerly waiting for your call right now to answer your questions about buying a home in the Greater Wichita Area. If you have questions about specific areas of Wichita, what 1st-Time Home Buyer Programs are available, or which school district is the best fit for you, or even if you have your eye on a particular property already and would like us to look up information on that property...just ask us! Just fill out the contact form on the right or call 316-361-6086. 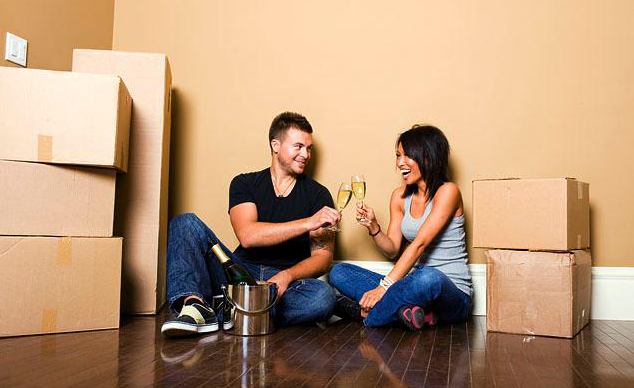 So you've finally decided you are going to make that move and invest in real estate. There are many options: You can look on Craigslist. You can look on other websites that have people selling their homes by themselves. There are a number of local auction companies that are auctioning off homes daily. There are mortgage foreclosure auctions. There are short sales. There are REO (real estate owned) properties. There are county tax auctions. And then there is your more traditional avenue of just using a good ol' real estate agent...so which way is the best way to find a good deal on a rental property? They all have their pluses and minuses. And every investor is different and every investor's situation is different. If you really want to get into this business of building residual income...you have to be up to date on every option available and then some! You need an advantage...you need a Pro-Active, Trusted Real Estate Adviser like (Jimmy Davis) that is up to date and that can help you. But don't let that get in the way of starting your journey to financial freedom. You have to start somewhere, so just start, and keep in mind that the Pyramids in Egypt that are still standing today were started with just one stone...actually just one idea, and the action to execute that idea. So quit sitting there and take action! Right Now! Fill out the form on the top right and begin the Journey. Are you like me and absolutely hate being an employee and making someone else richer? Well I have a solution, but I have to warn you that this is not an overnight solution...it will take some time. It seems like these days you already have to be rich to buy anything that will make you rich...in other words, you have to have a lot of money to make any money. Or do you feel like if you start your own business that you would be better off just working for someone else because you can work less and make more money with way less overhead? The first thing you have to do is a financial checkup! What's this...take a look at your expenses, your bills, everything that you spend your money on. Most of us are spending way too much and not saving anything at all...this is your first problem...no matter how much money you make save as much as you can! I know I know you need that money to make it thru the day with food, bills, gas, etc,....This is where the financial checkup comes in...you have to find a way to lower your bills to save that money. If you are never able to save any money then you will never build up enough money to set yourself free. No matter how long it takes. It could be weeks, months, even years, but start doing it today! Ok...now you have some money saved up, right? Here's my solution: Invest in rental properties!!! From my experience it is the best way to build wealth! 1. You get paid every single month your property is being rented! 2. Someone else is paying the property (loan) off for you! 3. 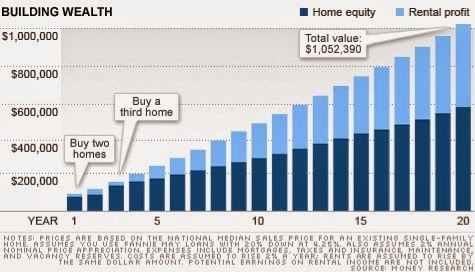 Real Estate tends to appreciate in value! 5. 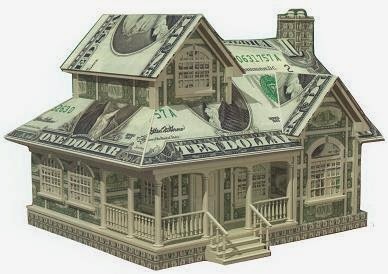 You can take a loan out and get cash out of your rental property...now you have more money to make more money! Buy more rental properties with that money! 6. You can have rental properties and keep your day job until the rental properties can pay for your current lifestyle! 7. You can hire a property manager to handle all the b.s. that goes with having a rental property for a small fee, and still make money! Don't do it all yourself! 8. Our population is not declining so people will always need a house to live in! 11. You can hand down your rental properties to your kids, and then they won't have to work either! I haven't reached financial freedom just yet, but I can see the light at the end of the tunnel. I will keep blogging about building wealth and hopefully I will be able to help others in my experiences! We buy houses in the Wichita, Kansas area. No matter what condition the house is in. We will buy your house As-Is, so don't worry if it needs repairs...or not. My name is Jimmy Davis. 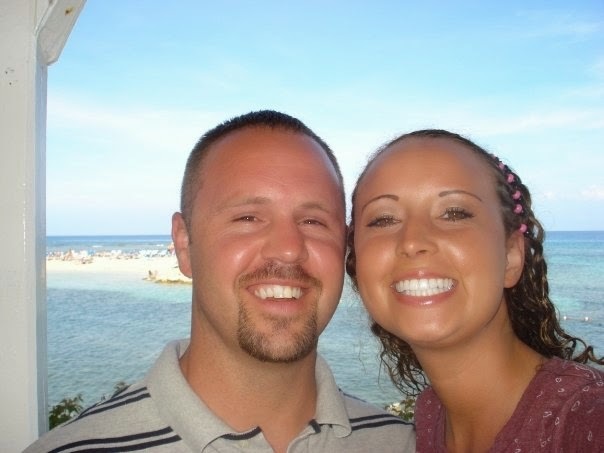 My wife, Alisha and I buy houses throughout the Wichita Kansas metro area regardless of condition, price, or neighborhood. You won't have to worry about the time and money involved with cleaning, painting, and fixing your house just to put it on the market...hoping you will get an offer. We will buy your house As-Is. We are not house flippers. Our goal is to buy your home fix it up and restore it to it's former glory. Then we will rent it out providing a safe & quality home to a deserving family while Improving Communities, Families, and lives 1 Home at a time. If a cash offer will not work, perhaps a traditional retail sale will. My wife and I are Licensed Real Estate Agents, and work together as a Real Estate Team if you are in need of a Realtor in the Wichita Kansas area. It's like getting 2 Agents for the price of 1. Fill out the contact form on the right side of the page and include the address of the house along with any other questions you may have. If you would rather talk to me in person instead of filling out a contact form please call me personally at 316-361-6086.